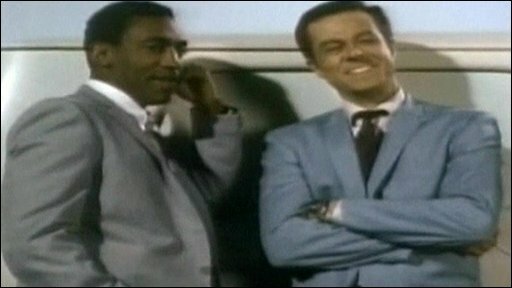 Hollywood actor Robert Culp, who paired with Bill Cosby in the comedy-adventure TV series I Spy in the 1960s, has died at the age of 79. Police said he accidentally hit his head while taking a walk outside his Hollywood home. 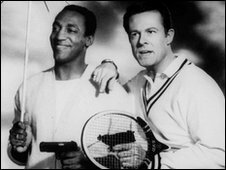 In I Spy, Culp played an agent whose cover was a tennis ace, while Cosby played his trainer. Culp was prominent on US TV from the late 1950s, more recently appearing on the sitcom Everybody Loves Raymond. I Spy broke ground for US television by being the first programme to feature an African-American (Bill Cosby) in a lead role. Culp was born in Oakland, California, in 1930. He got his start in television in the late 1950s before appearing in The Man From Uncle and Outer Limits. He then landed the role of tennis-playing secret agent Kelly Robinson. Cosby played his coach, Alexander Scott. I Spy ran from 1965 to 1968. For each of the three seasons he was nominated for an Emmy, but lost each time to Cosby. He also starred in films, notably the 1969 wife-swapping comedy drama Bob & Carol & Ted & Alice. Culp appeared in other TV programmes, including Columbo and The Golden Girls but his next starring role on the small screen was as FBI agent Bill Maxwell in The Greatest American Hero. More recently, he played the father-in-law in Everybody Loves Raymond. He was married five times and had five children.